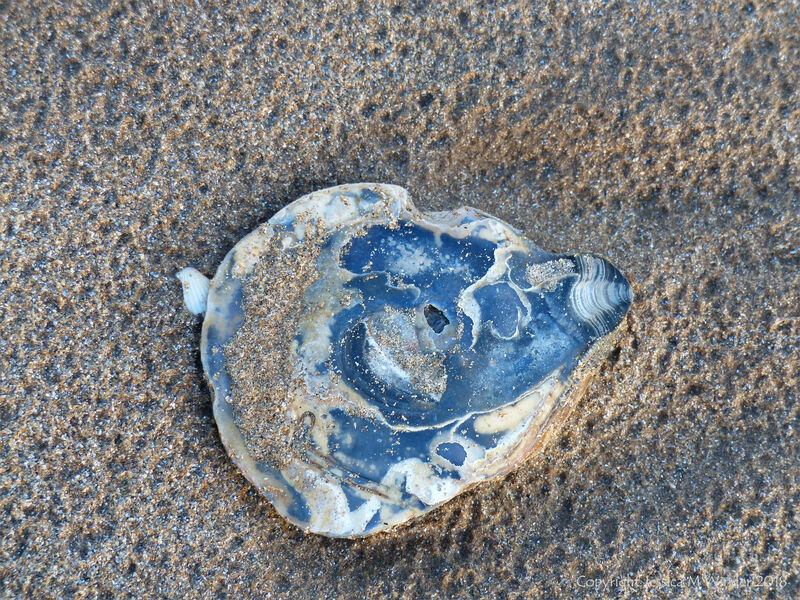 European Flat Oyster shell (Ostrea edulis Linnaeus) on the sand at Swansea Bay, South Wales, 1st February 2018. Right valve interior surface. Blackening due to burial in anaerobic conditions. Large burrow made by Polydora hoplura worm on lower margin.